General Plastics Manufacturing Company, leading manufacturer of polyurethane foam and built-to-print composite parts, supports growth initiatives with the appointment of Mitchell Johnson, Ph.D., to Executive Vice President. 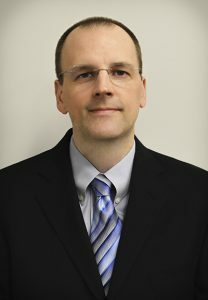 Tacoma, WA – February 16, 2016 – General Plastics Manufacturing Company recently announced the promotion of Mitchell Johnson, Ph.D., to Executive Vice President, further reinforcing the company’s key initiative of providing advanced cost-competitive solutions to its present and future customers. General Plastics provides its signature Last-A-Foam® rigid and flexible polyurethane foam to the commercial aerospace, industrial, military and composite-manufacturing industries. In addition, the company molds, fabricates and constructs parts and assemblies. Custom foam formulations are also offered to meet customers’ special applications. As EVP of General Plastics, Johnson’s responsibilities include reinforcing sales and marketing functions and processes with technical expertise to improve customer experience and pinpoint better concept development for new products. In addition, he will provide direction for future investments in research and development, as well additional production capabilities. Mitchell Johnson, Ph.D., joined General Plastics from 3M Company in 2008 as a product development chemist. In his recent role as General Plastics Vice President of Materials Technology, he was responsible for developing the company’s strategic growth platforms, focusing on the development of new products and new applications of its current products. With Johnson, the company recently introduced the FR-3800 FST foam series, the first halogen-free polyurethane-based foam that satisfies fire, smoke and toxicity (FST) requirements as well as Ohio State University (OSU) heat release standards. Johnson earned his doctorate from the University of Utah and pursued post-doctoral studies at Los Alamos National Laboratory where he studied organometallic and lanthanide chemistry.